Knock Shrine in Knock, County Mayo is an international place of prayer and pilgrimage where many visitors come to visit. 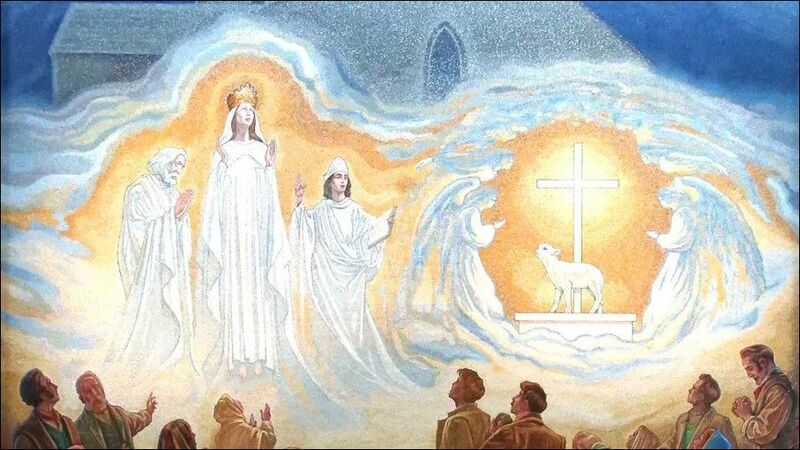 The Knock story starts on the 21st of August 1879 when fifteen people from the village witnessed an apparition of Our Lady, St Joseph, St John the Evangelist, an altar, cross and a lamb. Following this miraculous event, numerous cures were reported, the first miracle cure was that of Delia Gordon, a young girl from the nearby village of Claremorris who was cured of deafness. Since then pilgrims have come to Knock in search of healing, reconciliation and peace. The personal pilgrimage of Pope John Paul 11 in 1979 to commemorate the centenary of the apparition and the visit of Mother Teresa of Calcutta in 1993 inspired an even greater devotion to the shrine. So what can you expect on your visit to Knock? You can expect to depart Galway City at approximately ten o clock where you can expect to arrive for your tour of Knock Shrine well in time for 12 o’clock Mass. Before or after Mass you can enjoy some refreshments at Café le Chéile. We will ensure you receive a private guided tour of the Shrine. Knock Shrine is set on almost 100 acres of beautiful gardens with winding paths and a range of flora that creates a magical and serene atmosphere.Five churches including the apparition chapel, parish church and basilica, a religious books centre, caravan and camping park, Knock Museum, Café le Chéile and Knock House Hotel make up the whole complex. There are organised pilgrimages, daily masses and confessions, anointing of the sick, counselling service, prayer guidance and youth ministry. Also The Knock Novena runs in August every year. If you are looking for a private tour of Knock Shrine Galway Chauffeurs will gladly ensure you experience the Shrine at Knock in an extremely comfortable manner. We will provide you with an executive level vehicle. After the tour you can continue on to Westport for a view of the Croagh Patrick.